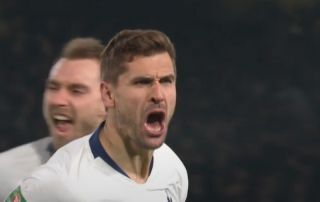 Tottenham are back in tonight’s game against Chelsea as Fernando Llorente has scored to make it 2-1 on the night and 2-2 on aggregate. The Spaniard was the target of major criticism from Spurs supporters at half time, but has redeemed himself with what could be an important header. Llorente is having to play more for Tottenham at the moment due to Harry Kane’s injury, and despite some unconvincing moments, this was much better as he finally made an impact for Mauricio Pochettino’s side.